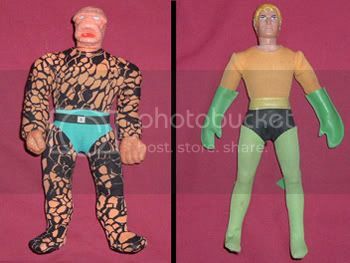 Hey wait a minute, this post is supposed to be about the Mego Super Heroes! Sorry, I always get sidetracked to Star Trek or Star Wars. 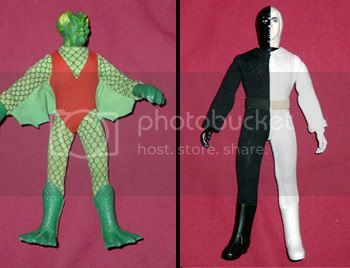 When it comes to Mego Superheroes, my brother and I spent countless hours playing with them. We had just about all of them (well actually, most of them were his). 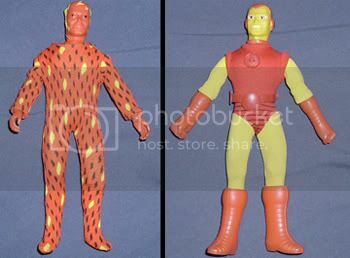 They were called "The World's Greatest Super-Heroes". Many of them broke or were altered by our imagination. Remember how much fun they were? It wasn't just the figures either, the playsets were so cool! Our dad always called the figures "dolls" wich used to make my big brother so angry! Mego Mighty Thor with his hammer Mjolnir! Thor was one of the later releases in 1976. I think he was the first to receive the newer body type, often referred to as Body type II. He had "real" hair, a removable metallic helmet and hammer, and rubber boots. All the other figures had plastic boots. Wait a minute, now I'm beginning to sound like a collector! As kids, we thought all of those new features made him the coolest. I could go on and on but I need to bring this to a close. I will write a Mego Batman only post soon. 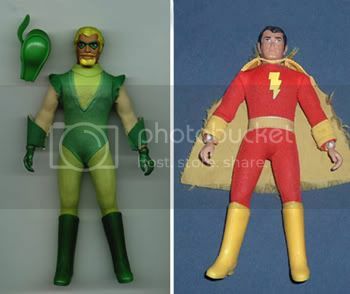 Please comment below and let me know what your favorite Mego Super Hero was, or what you think I should post about next. I will try to be more frequent in my posting. Thanks for remembering Mego with me! I love your site. It brings back all the memories for me of playing with my Mego mates i.e. Spidey, Batman and I think I had Capt America as well. It was pretty hard to get them in New Zealand but I loved those toys. Since then age and other interests took me away from them but with thanks to ebay and the internet I have been able to rediscover my old mates (not the actual ones) and more. I now have some of the Mego I had only seen on the back of comics and it gives me a good feeling. So thanks again for your site and good luck to you. Cheers. Great site, I so remember alot of these toys I was born in 72 I think we grow up in the greatest toy era, I also found in my dad attic my old big bolt construction from the early 80's still have most of the pieces. 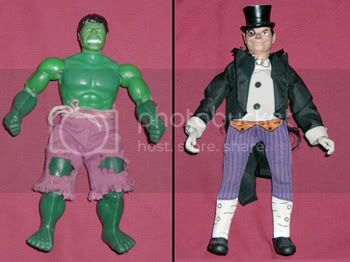 My Mego toys were probably pretty much my favorites and hold the most fond memories for me. 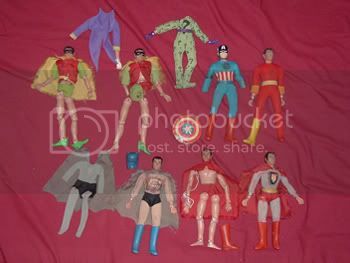 The first "boy dolls" (action figures) I got were for my 10th birthday, back in 1973. I remember going to the store with my birthday money and buying Superman, Batman and Robin. I continued adding to my collection over the coming years. 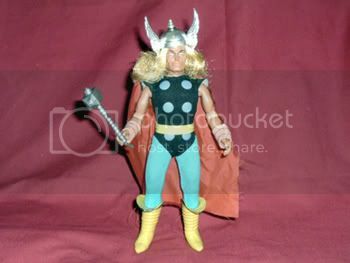 Thor was probably one of the last Mego figure I got. I totally agree with you about this figure being one of the best of the best. 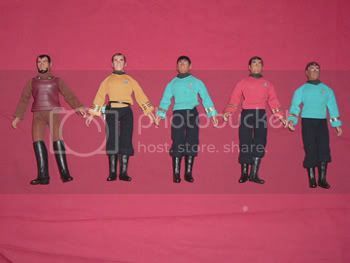 I still own all of my Mego figures. They are a prized part of my still ever growing action figure collection! We had Batman, Robin, Superman, and Captain Marvel. The whole idea of dolls for boys confused my parents, LOL. Thanks for the fun post, it brought back memories.